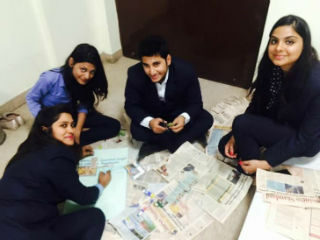 An activity has been organized for PGDM IB Students wherin they wer required to make the newspaper in a group of 4 on the topic “Make In India’. 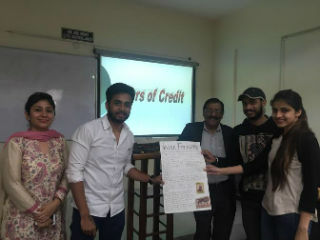 They were given one hour fifteen minutes to complete the work in teams. 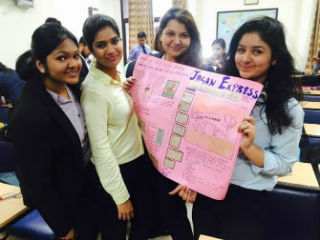 “Make in India” is an initiative of the Government of India to encourage multi-national, as well as domestic, companies to manufacture their products in India. 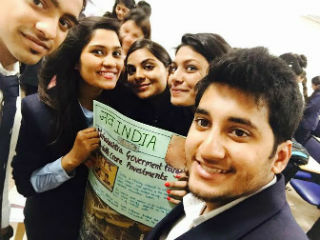 It was launched by Prime Minister Narendra Modi on 25 September 2014. 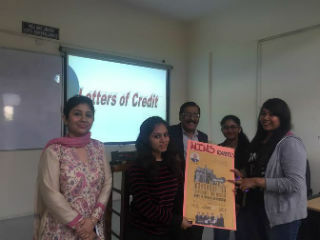 A right approach, a little motivation, some guidance here and there, a pinch of patriotism and lots of hard work by the students of PGDM-IB created this activity into a very enjoyable event. 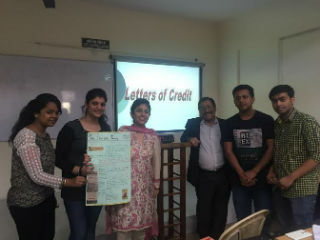 The event was conceived, mentored and monitored by Ms Yukti Ahuja(Assistant Professor).